Like many in the spring, Mr. C has been suffering from allergies particularly badly this year. Sure, there are certainly allergens within New York City but he’s not used to being in the woods, surrounded by plants and tree-related allergens. If I was a kinder person, I would be more sympathetic to his suffering but I’m not, so instead I spend a lot of time going “Augh gross- stop sneezing so much!” and I threaten to smother him in his sleep. Oh love, what a kind and beautiful thing it is. 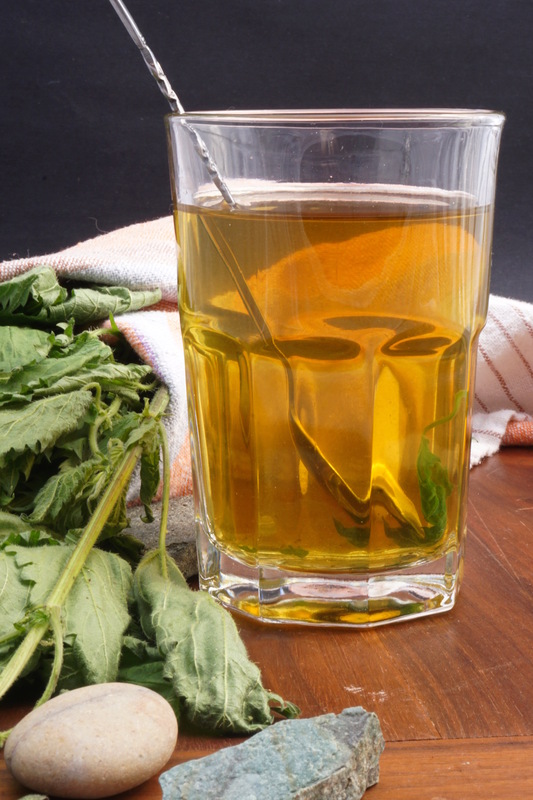 Thankfully I found out about stinging nettle tea. 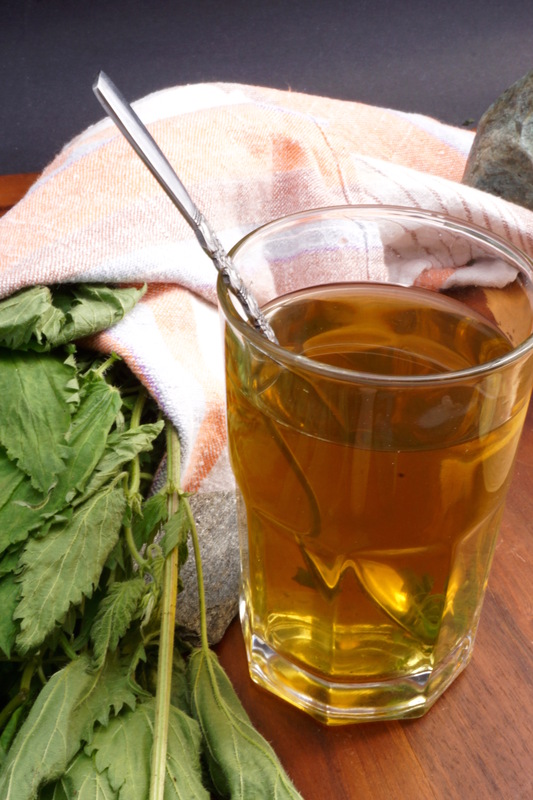 Last year I began using stinging nettle tea as a natural allergy relief with the minor sneezing I was having. Stinging nettles have been traditionally used as a diuretic and to treat joint pain, amongst other things but with regards to allergies, they have been found to be effective in treating hay fever by inhibiting several inflammatory reactions that happen (mainly itching and sneezing) so I figured it couldn’t hurt to try it out. Since it had worked for me and in an attempt to ease his suffering this spring (without resorting to murder) and the suffering of my ears and personal senses, I began a quest to find nettles. 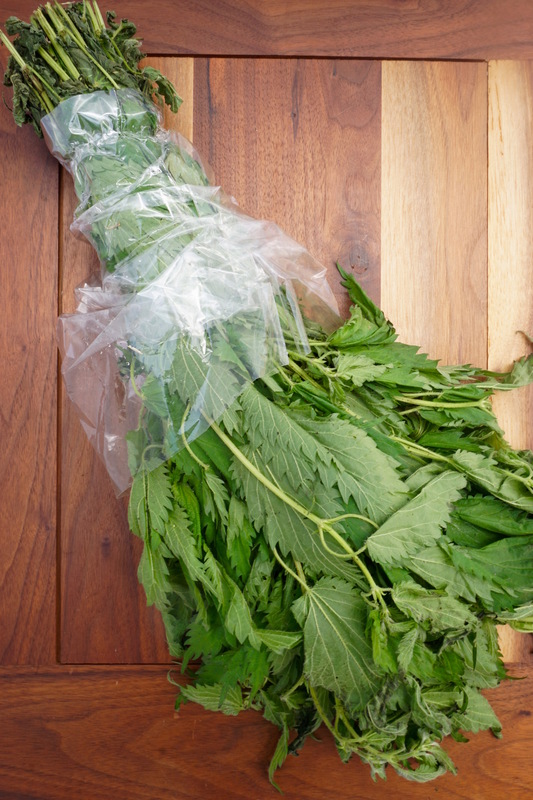 Stinging nettles are a prolific weed here in the northeast so I feel embarrassed to admit that I had to go all the way back to New York to get a bunch of it. The few people I knew that had stinging nettle patches had already harvested them for their own eating purposes and I was reminded that I’m not really a woodsy girl; I just don’t feel confident wandering around the woods in search of nettles and correctly identifying them for culinary purposes. Kayaking, yes. Hiking, yes. Foraging, nope, not yet. I’m officially going to mark this one down as being an intelligent adult; after all, I need to learn more about proper identification. Of course, I could always harvest to the best of my identification knowledge and have it confirmed by someone later before eating, but that’s irrelevant (or so I tell myself). 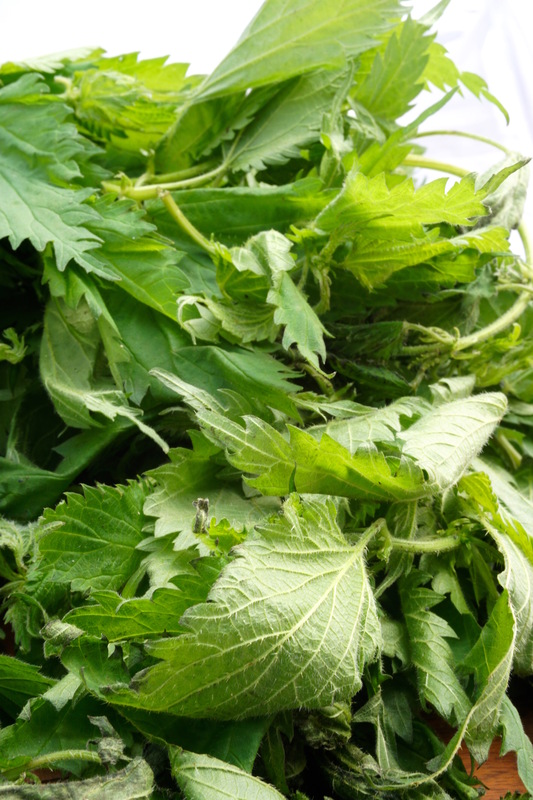 In the end, we needed to make a quick trip to the city this past Monday so I of course popped into the Greenmarkets at Union Square and was pleased to finally find a vendor selling bunches of nettles. Whenever possible, I always opt for a more natural solution rather than taking other medications so I’ve been happy to find it’s continued to work for me and always seek it out in the spring. The biggest struggle has been getting Mr. C to drink it- he seems to like to just stick with his OTC meds. It has a light grassy taste, which I find quite pleasing but it doesn’t bode well for his taste buds. Sweetening it with local honey has helped but otherwise I’ve just tossed it into his smoothies. If you liked this recipe you may also be interested in my Sleepy Time Tea & Cold and Flu Tea or my DIY Relaxing Lavender Spray. 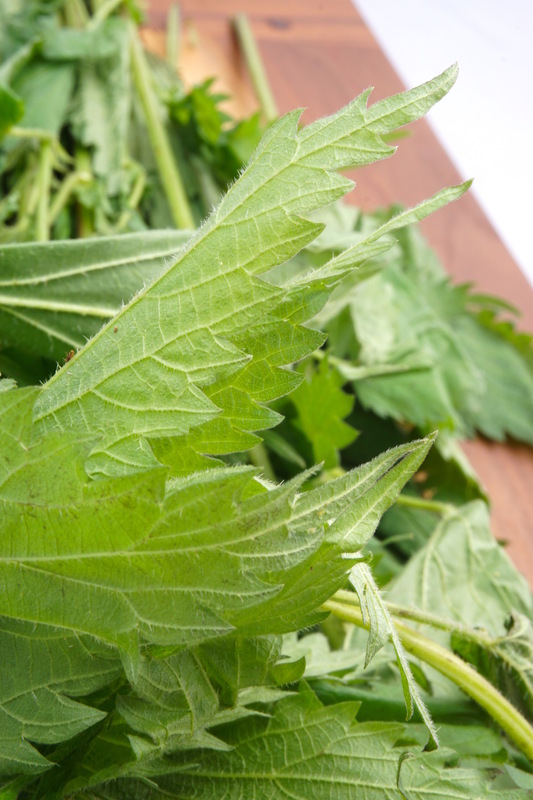 Stinging nettles have that name for a reason- they have small hair-like thorns all over their leaves and stems that will sting when they come in contact with your skin, so wear always gloves when handling them. Once they have been cooked, the thorns soften and are no longer and issue. Wearing gloves, quickly rinse the leaves to remove any dirt. Then to a medium-sized pot, add water, nettles and ginger (if using) and bring to a boil. Once it is boiling, reduce to a simmer for 30 minutes before turning off and removing from heat. Once it has cooled enough add the honey to taste, if using. The tea is ready to drink once it has cooled however I usually cover the pot and let it sit overnight to get a strong steeping and the most out of the nettles. 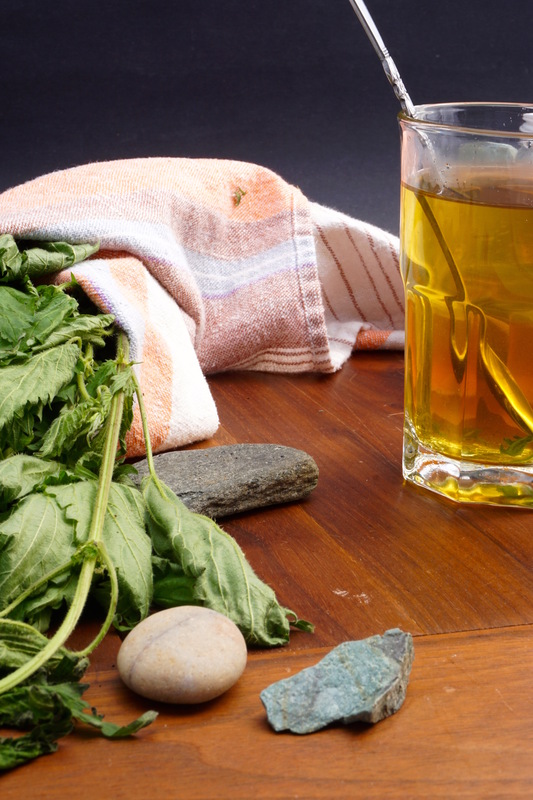 If you aren’t using the tea right away, strain into a sealable container and store in the fridge for several days. Thank you Blink Health for allowing me to share this infographic about allergies!